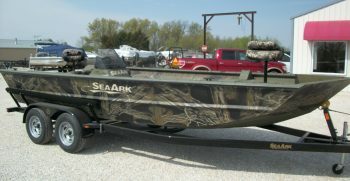 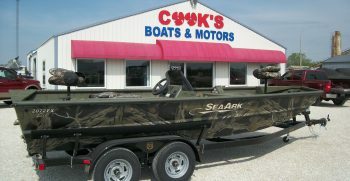 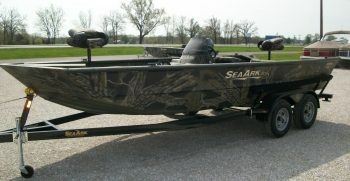 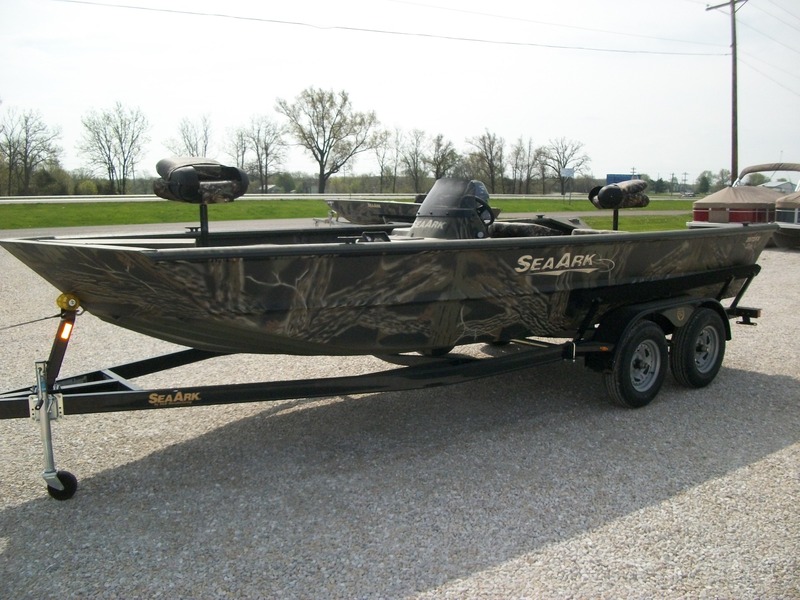 The 2072 FX Elite is one of our most popular 20' SeaArk boats. 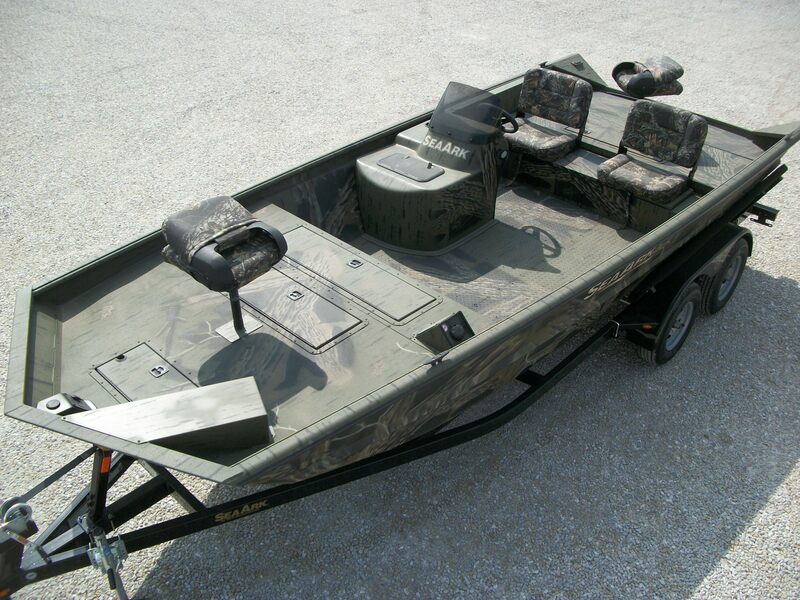 The FX Elite features, large front and rear storage areas, Deluxe side console with livewell and windscreen, bilge pump, trolling motor wire harness, navigation lights, etc. 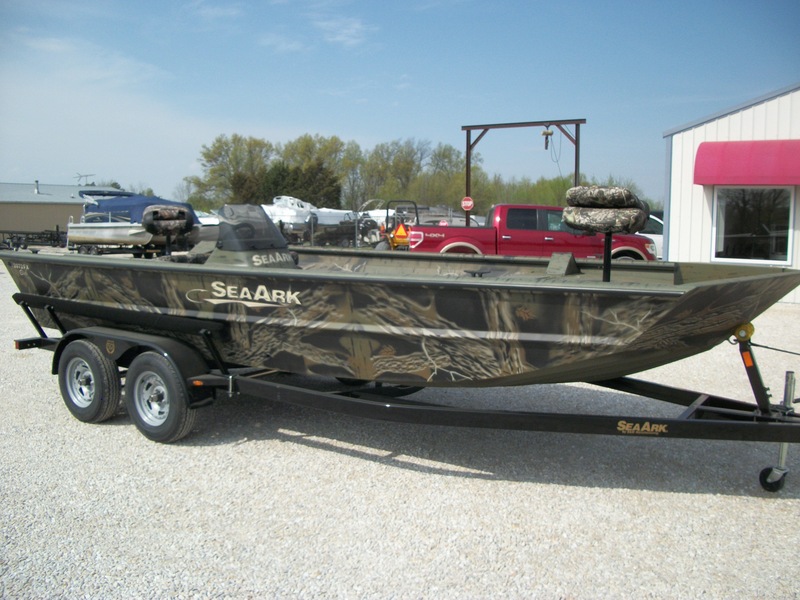 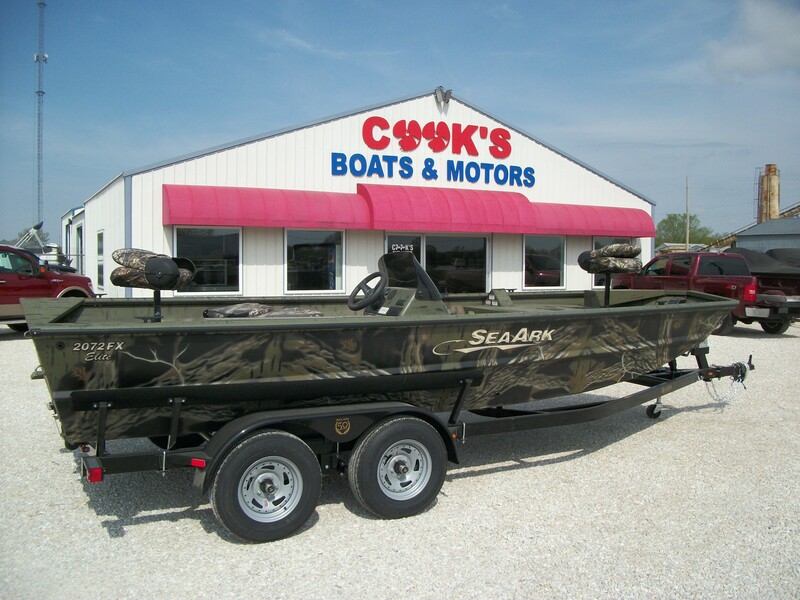 It has the rear passenger bench seating, two pedestal fishing seats, a huge 36 gallon front fuel tank, and 40 gallon rear deck livewell. 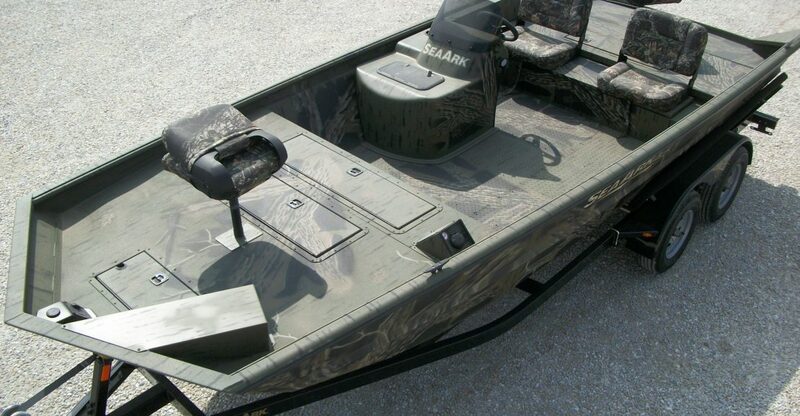 The one is topped off with the optional gatorhide liner and Mossy Oak Breakup camo paint.